“From waste to resources: Milan meets New York”: on 13 September, the City of Milan will be meeting a delegation from New York to discuss separate waste collection, a topic for which both cities are developing major plans for a transition towards a circular economy. The meeting, promoted by #MilanoRecycleCity, is scheduled for 11:00 am at the Urban Center, in Galleria Vittorio Emanuele II in Milan. #MilanoRecycleCity is a committee set up in 2013 by Amsa, Comieco, CIC (Italian Composting Association) and Novamont, under the patronage of the Municipality of Milan, to develop and study issues relating to the recovery and new life of recyclable waste, also by comparing best practices with other international organisations committed to materials recovery and environmental sustainability. Milan introduced wet waste collection in 2013 and in just a few years has become one of the world’s most virtuous cities in this regard. 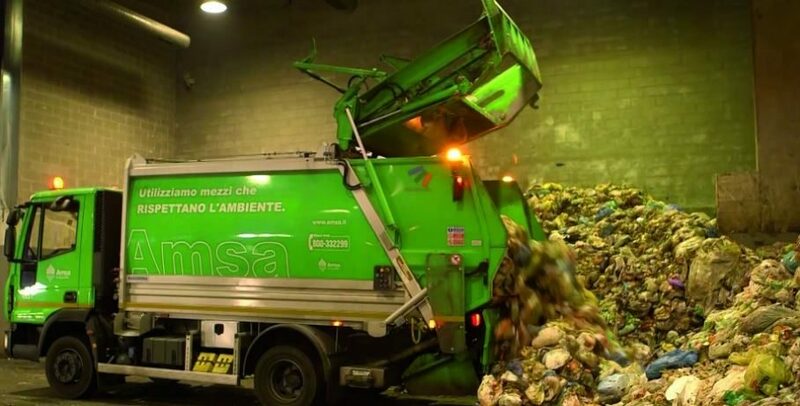 Milan has in fact become the European waste management champion, exceeding 54% separate waste collection.Even New York wants to follow the example of Milan and is aiming for an ambitious goal, namely “Zero Waste” in landfills by 2030.